With medical costs and insurance deductibles ever on the rise and political uncertainty over the future of the healthcare system, now is the time to become your own advocate and take back as much control as you can over your own health. Whether you have health insurance or not, we have tips to help you lower your costs on prescriptions, routine office visits, and major medical bills. 1. Shop around for the best prescription prices. For generic drugs, remember that some supermarkets like Wegmans, Kroger, and Wal-Mart each have their own list of $4 generics. 2. Ask for coupons and samples. Pharmaceutical sales reps are always in and out of doctors’ offices with coupons and samples of the drugs they represent. Your doctor might very well have a handy sample and/or coupon for the drug he or she has just prescribed you, so it doesn’t hurt to ask. If it’s a new prescription for a medicine you haven’t tried before, it’s quite reasonable to ask about a sample before committing to a full month’s supply. Just remember that there may be restrictions on samples for some drugs, including controlled substances. 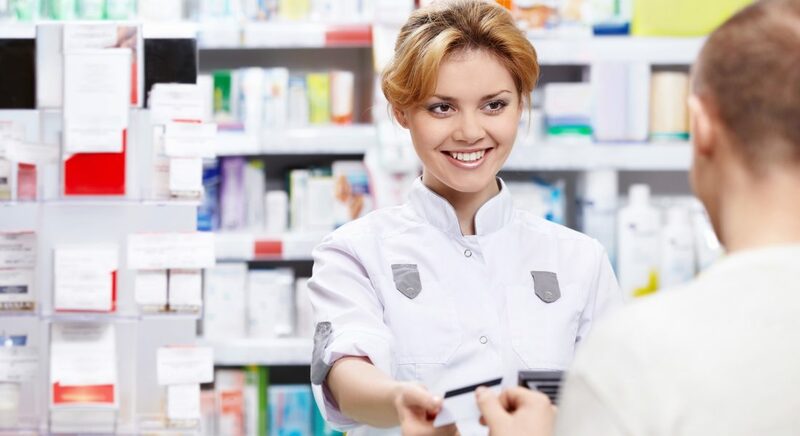 If your healthcare practitioner doesn’t have any coupons for your new prescription, the next place to check is the drug manufacturer’s website. Some pharmaceutical companies also offer assistance programs for people who don’t have prescription drug coverage. 3. Take advantage of community wellness programs. Many communities offer health fairs and other events or programs where you can get wellness services for free or at a relatively low cost. Depending on the resources your community has available, those services may include free screenings for high blood pressure, diabetes, and HIV, nutritional counseling, or even reduced-cost flu shots. These community services are especially helpful if you don’t have any insurance coverage. For minor conditions, you may not even need to leave your house or change out of your pajamas to see a doctor anymore—and what’s more, a video consultation may be cheaper than an office visit. A growing number of insurance companies and employers now offer online consultations with a doctor as a benefit, or you can sign up for a network of online doctors on your own. Many of these programs are accessible to patients with or without insurance. During your online consultation, the doctor may be able to diagnose your condition via video and even write you a prescription, or may advise you to see someone in-person if necessary. 5. Avoid the emergency room if it’s not a true emergency. If your condition isn’t severe, skip the emergency room trip. Instead, visit an urgent care center. Most urgent care centers can provide many of the same services as an emergency room—like minor stitches, or treatment for skin infections, possible strep throat, or fractured fingers or toes—at an often lower cost. Research nearby clinics and their costs and services while you’re well so you can quickly make the right choice when you’re not feeling so hot. 6. Check over every bill and statement. Everyone makes mistakes. Unfortunately, when a mistake involves a medical bill, it could potentially cost the patient a lot more money. Request an itemized bill or statement each time you undergo medical treatment, and ask that everything be written in “plain English,” not medical billing codes. Then go over the statement, keeping your insurance plan’s explanation of benefits (if you have insurance) nearby for comparison. Carefully check the statement for errors such as duplicate charges, incorrect quantities of medications or supplies, an extra day for a hospital stay, or tests that a provider may originally have ordered for you but then canceled. HSAs and FSAs both allow you to use pre-tax dollars for covering healthcare costs—but there are important differences between the two. Love your car for less with these tips for saving money on fuel, maintenance, insurance, and more. If you have to undergo an expensive procedure and know that you will struggle to pay for it, get in contact with the hospital’s billing department and ask about financial aid programs, payment plans, and/or discounts for paying cash. Know that medical bills can be negotiable, both with your insurance company and your healthcare provider. 8. Let providers know upfront if you’ll be paying cash. Some providers will give you a discount for paying cash, so ask when you schedule your appointment. If you don’t have insurance or if healthcare costs are a concern for you, let your doctor know at the beginning of your visit. Doctors today are generally more aware of and empathetic to the fact that medical costs are a real struggle for many of their patients. If yours is not, it may be time to look for a new doctor. If you tell your practitioner that you need to keep your healthcare bills low, he or she may be able to help you curb costs—by trying generic medications first, for example, or holding off on tests that may not be necessary yet. Is worth a pound of cure. Practice preventative self-care to help keep your personal health as much under your own control as possible. Adopt an exercise routine that’s right for your age and fitness level. Aim to eat healthy most of the time. Try your hardest to kick unhealthy habits like smoking, and get help doing so if you need it. Keep your teeth in good shape. Don’t neglect your mental health. Finally, keep up with prescribed medications and treatment for chronic conditions—yes, it may cost more money than you’d like, but it will be cheaper in the long-term than dealing with a condition that’s gotten out of control.